Develop your child’s Speech and Language skills / Developmental Milestones charts / Speech and Language disorder / Autism and Special Needs / Hearing impairment / Dyslexia. Adult Speech Disorders / Stroke-CVA / Communication Strategies / Brain Injury / Parkinsons and other progressive diseases / Intellectual Difficulty and Adult Learning Difficulties / Assistive Technology. Find information and strategies to make communication much easier. Welcome to our bookshop. Get books and therapy items at discount prices. icommunicate provides a wealth of information about a wide variety of speech and language disorders (such as apraxia, phonological delay, aphasia, dysarthria, stuttering etc), communication development, hearing impairment, autism, brain injury, stroke and acquired adult communication difficulties, special needs and learning difficulties, and assistive communication (AAC). The Downloads Centre will provide you with free PDF downloads containing information, resources, tips and strategies to facilitate communication and communication disorders. Click here to visit the Downloads Centre. I have a number of YouTube videos and will constantly be updating the site with videos containing tips and ideas to facilitate communication development, and communication disorders. Click here to visit the Video Resources page. This section will provide information and resources for Speech Pathologists and Therapists. Click here to visit the Speech Pathologist-Therapist Section. This section will provide information and resources for parents and carers of individuals with communication difficulties. Click here to visit the Parent Section. This section will provide information and resources for teachers to help with students with communication difficulties. Click here to visit the Teachers Section. If you still want more resources, check out the huge range of books in the Bookshop. 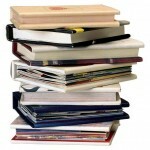 The site has a wide range of books at discount prices for all types of communication difficulties and disorders. Help yourself by getting information written by the professionals, and help the people you care for by learning more about their difficulties and the things you can do to help. Speech and Language Therapists / Pathologists – enhance your own skills and professional development by reading the latest titles in your field. Click here to visit the Bookshop. This section contains products, activities and resources for individuals with a range of difficulties. Click here to see the Therapy Product range. ipads and android technology is now being used by many individuals to facilitate communication and learning. This section will preview apps and offer advice around using apps for communication and learning. Click here to go to the App section. Advertise jobs, or look for jobs in this section. Are you a speech pathologist looking for a job, post your information here. Click here to go the Careers Section. Do you have difficulties accessing technology. This section of the site offers some advice and links relating to accessibility and using technology for individuals with disabilities. Click here to go to the Accessibility Options Section. 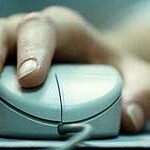 Did you know that many people can now access speech therapy services online. See the Online Therapy options. This part of the website provides web-links to numerous websites that provide information and contacts regarding communication. I have built up a link list of a large number of informative sites, associations, organizations and support groups relating to specific conditions. Click here to the Links Page. For a comprehensive guide of what this site has to offer go to the icommunicate guide, where you will also find introductory videos to the site. Click here to see a more comprehensive guide to the website. Congratulations on your website icommunicate. I am interested in information for families raising a deaf child and have found the information on the website comprehensive and parent-friendly. I would encourage anyone interested in speech and language difficulties to see what the site has to offer them. Thank you for giving us permission to share it with families in Australia. This web site is an excellent resource for the stroke or brain injury home caregiver who is dealing with a patient who has communication challenges (i.e. speaking and listening). Here the non-professional caregiver will find understandable explanations of the various kinds of disabilities, as well as therapeutic exercises and suggested approaches that could be included in a home rehab program. For those of us who have virtually no medical training, this is an excellent resource with an on-line forum, moderated by a professional therapist. As a “brain” caregiver, I know how helpful it is to know what the professionals consider a therapeutic challenge, so that I can readjust my expectations for my patient’s recovery and deal more realistically with the problems I encounter on a daily basis. *Speech Therapists and Speech Pathologists are the same type of professional with the same qualifications.